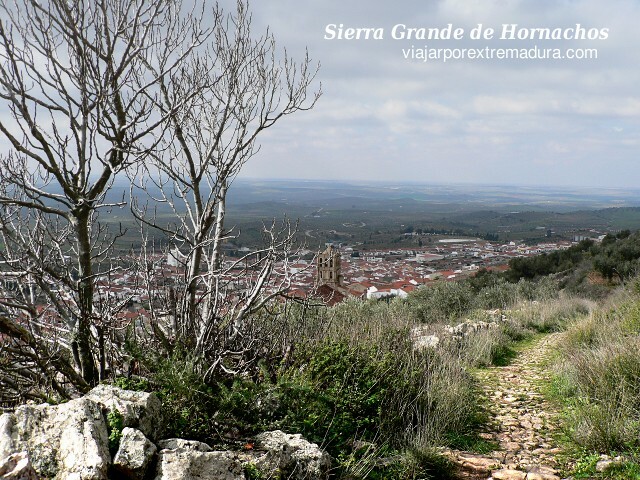 The great mountaint range of Hornachos is located on Tierra de Barros region, in the centre of Badajoz Province. This special preservation area stands out due to the varieties of vegetable life, moreover outlook to beautiful landscapes and plains that surrounds it. The great mountain range of Hornachos is right in the centre of Badajoz province, it borders on the regions of Tierra de Barros, Campiña Sur and La Serena. Matachel and Guadámez rivers and Palomillas stream define the area geographically. 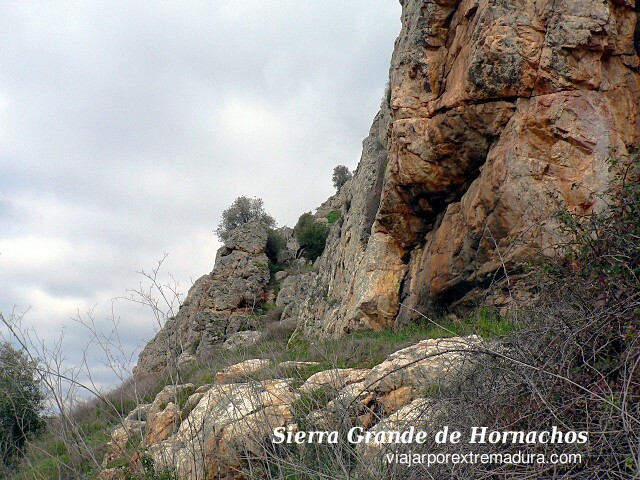 Rocky projections intermingle with thick forests where animal species are plentiful, birds of prey and mediterranean animal life inhabit in a perfect area full of holm oaks, kermes oaks, and bushes. The special conservation area is a whole vegetable kingdom and from it the outlook is impressive and peaceful. Holm oaks stand out in plains, slopes and hills. Whereas cork oaks grow in hillsides, hills, and watercourses. These two oak species almost occupy the whole territory, but also other species such as wild olives on valleys, juniper on the hill summits and river vegetation like oleanders are noteworthy. The hill’s summit, the thick forests and the Mediterranean ones, the adjacent pastures, streams and rivers that cross them or the ceral plains feed more than 220 vertebrates which live in the special protection area of Hornachos’ great mountain range. On the rocky projections great birds like tawny vulture or golden eagle nest. Matachel watercourse lodges native fish species like the jarabugo, calandino boga and pardilla. It is noteworthy the wide variety of amphibious in ponds, springs, watercourses,… The most comon species are: gallipato, iberian newt, southern frog, San Antonio frog or toads. The warm climate creates a favorable conditions for reptiles to live. Common gecko, iberian small lizard, green-black lizard, horseshoe snake, muzzle viper, or European turtle are some of the species that stand out.